The Crawford Fund’s Western Australian and South Australian Committees are holding forums in November titled “World Food Security: Impacts, Opportunities and Partnerships”. 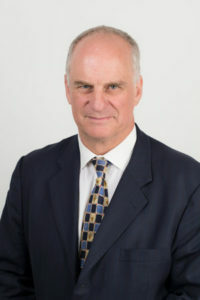 Professor Andrew Campbell, CEO of the Australian Centre for International Agricultural Research (ACIAR) will make a keynote address at both events on progress in food security, discuss ACIAR’s mission and the importance of Australia’s expertise to achieve more productive and sustainable agricultural systems for the benefit of developing countries and Australia. An invitation to the Western Australia event, with the full program, is here. The forum will be held on Wednesday, 15 November from 2.45 – 6pm including a reception at the CSIRO Auditorium, 147 Underwood Avenue, Floreat. And an invitation to the South Australian event, with the full program, is here. The forum will be held on Friday, 17 November from 1.30 – 5pm at the South Australian Research and Development Institute (SARDI) Plant Research Centre Auditorium, Waite Campus. Parking and registration details are provided with the invitations. Seats are limited so while the events are free, registration is required by COB 9 November please. In addition to hearing from ACIAR on their work for food and nutrition security, the events will also showcase the great work Crawford Fund trainers and Australian researchers do in international agriculture, the benefits flowing back to Australia’s agriculture sector and young researchers, and its impact in developing countries. We are particularly pleased to present speakers from each State’s research institutes who will share their experiences of ‘doing well by doing good’ with ACIAR, the Crawford Fund and our partners. Each forum will conclude with a free networking reception which will be an excellent opportunity to meet colleagues and make new connections with a wide variety of peers from across industries, universities, and those in international agriculture. Come along and find out more about food and nutrition security, current work underway and about getting involved – as a researcher, mentor, industry representative, or training developer – in this innovative and rewarding field. Seats are limited, so register by COB 9 November to reserve your seat.